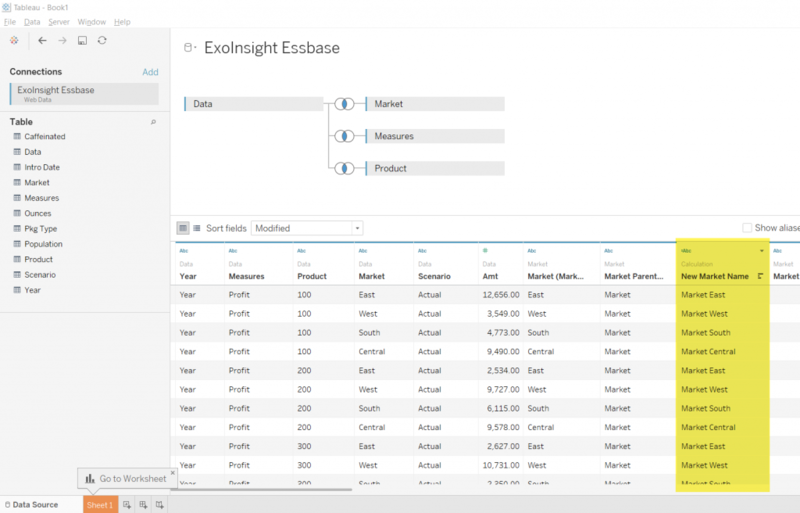 We’re excited to announce that ExoInsight 7.0 has now been released! Most users were comfortable using the native SQL Server data connection, but some were not. 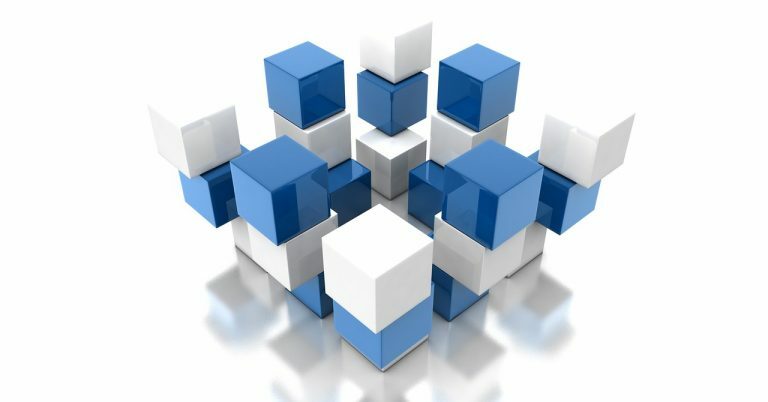 Because SQL Server (and Tableau’s native SQL Server connector) do not allow joining a result set returned by a stored procedure with another stored procedure or table, multiple connections to ExoInsight had to be set up in order to bring in and blend data and dimension metadata. 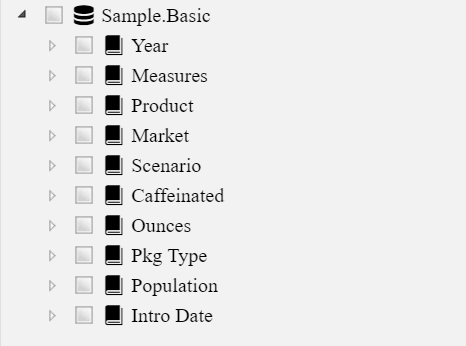 Similarly, because Tableau data blending had to be used to join the data set with the dimensions, outer, left, and right joins could not easily be used. Some companies did not use SQL Server as their corporate standard and had to have a separate instance set up. 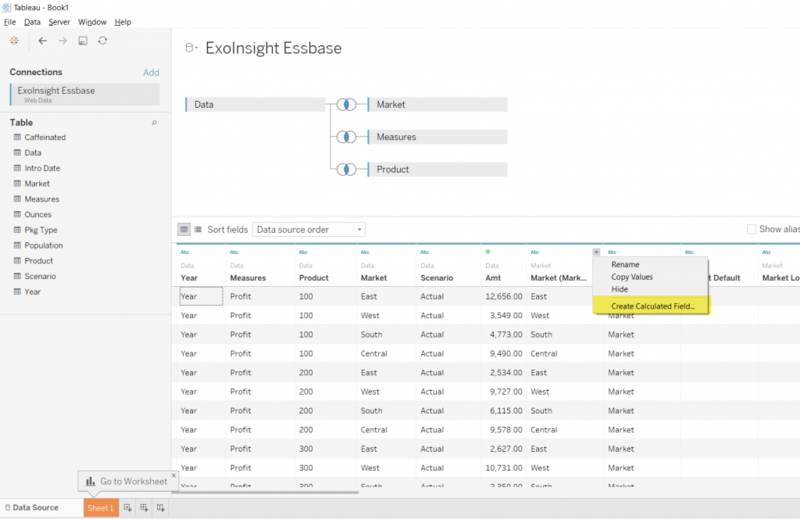 We listened to the feedback and we’re excited to announce that ExoInsight 7.0 can now be accessed by the native Web Data Connector in Tableau! 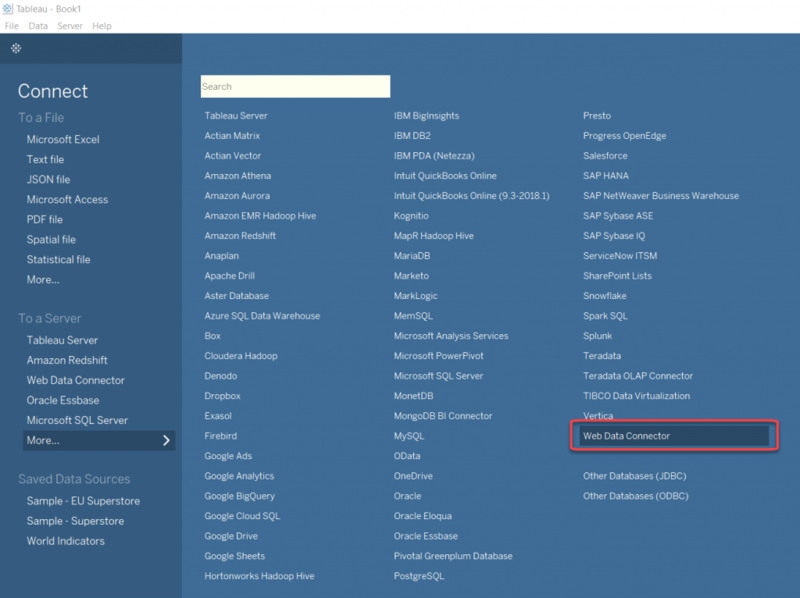 This means that SQL Server is no longer necessary to access Essbase from Tableau, and all the concerns raised above have been addressed. 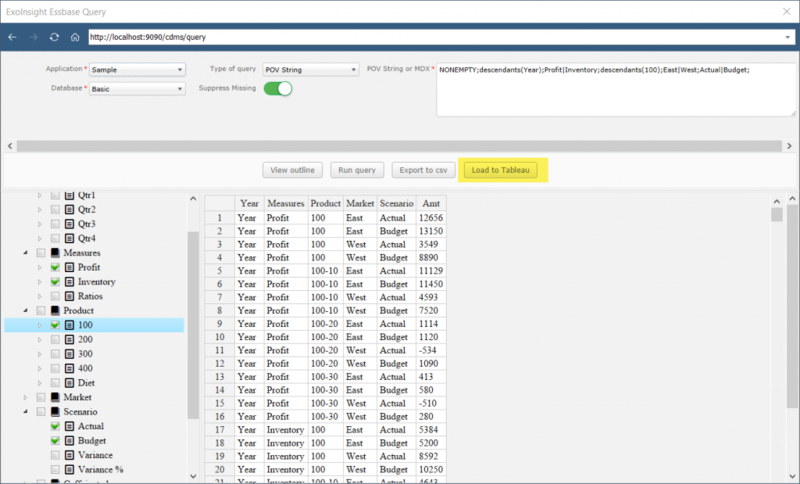 Now you’ll be in the ExoInsight connector page where you’ll have access to all the data you specified in the POV String as well as all the dimensions. 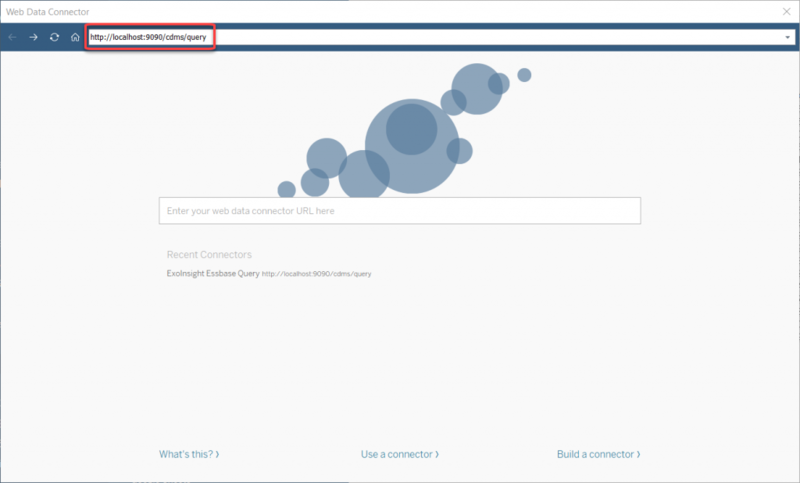 You still have access to all your Essbase data in the exact format that Tableau prefers, but now it’s easier to join up any dimensions you want to the data results, all without having to make multiple connections. 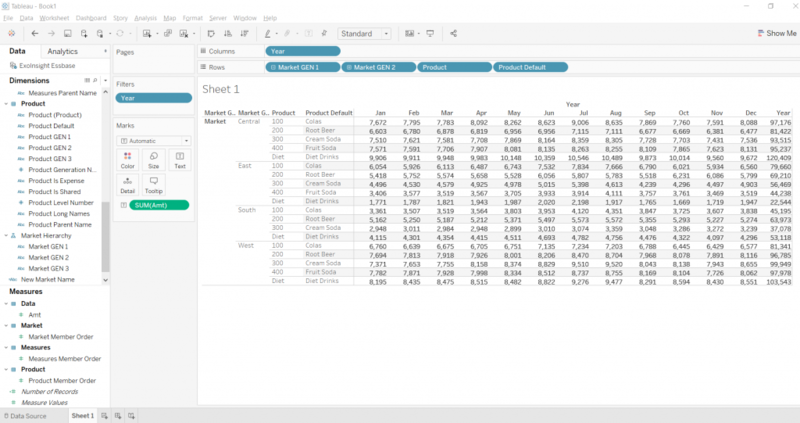 Now that your data has been loaded into Tableau from Essbase in a relational format, you can work with it just as you would any other data source. 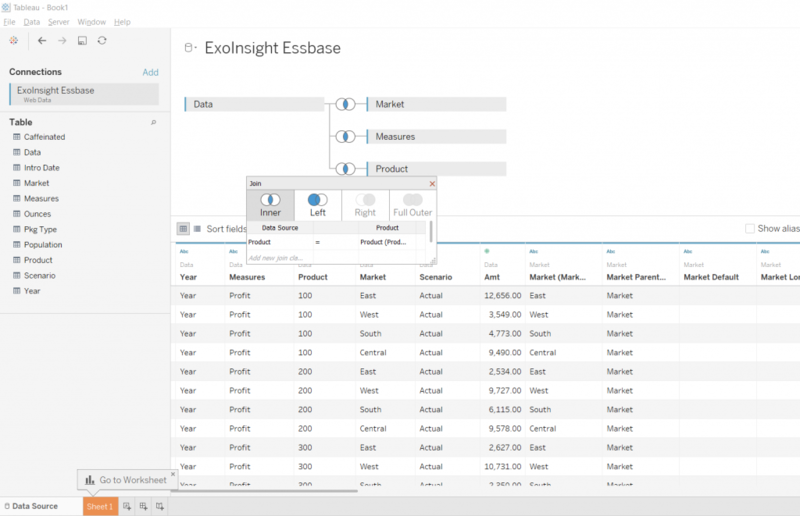 That’s the beauty of ExoInsight…you’re given the freedom to work with OLAP data from a source such as Essbase with a reporting tool like Tableau and take advantage of all it has to offer. 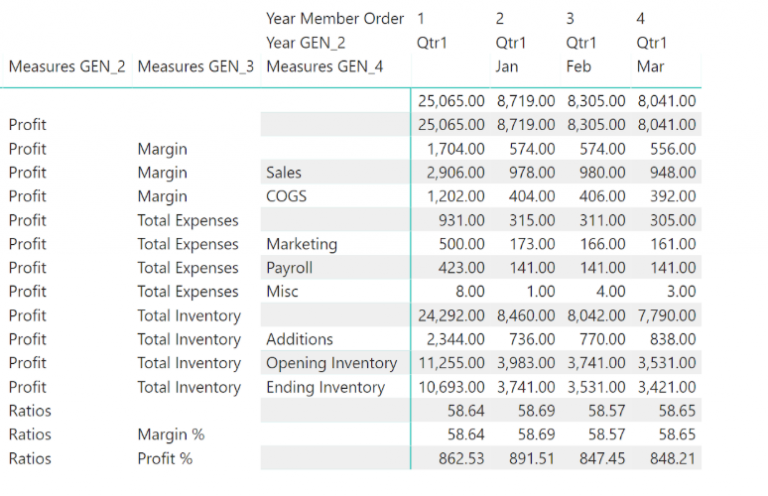 If you’re still struggling with the native Tableau Essbase connector, or have multiple processes to extract data from Essbase, stage it in a spreadsheet or relational database, then load the (now stale) data into Tableau, check out ExoInsight and see how easy it is to create beautiful visualizations off of one of your most important data sources.